Annual Memberships to the Prairie Tractor and Engine Museum Society are available at a cost of $15 per individual, or $20 per family for each calendar year. 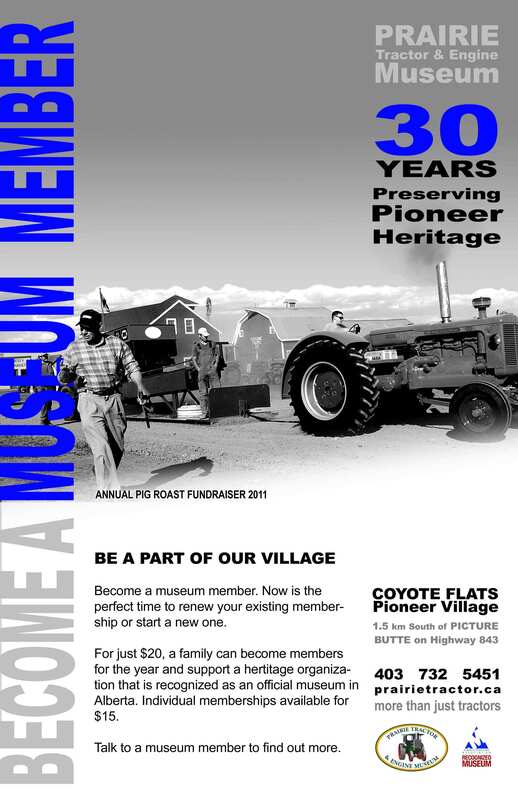 Your annual membership supports the operating of the Coyote Flats Pioneer Village, and enables you to vote for the Board of Directors, and provide greater input into plans and operations. Send me an application for membership. Ok. How do I become a member?